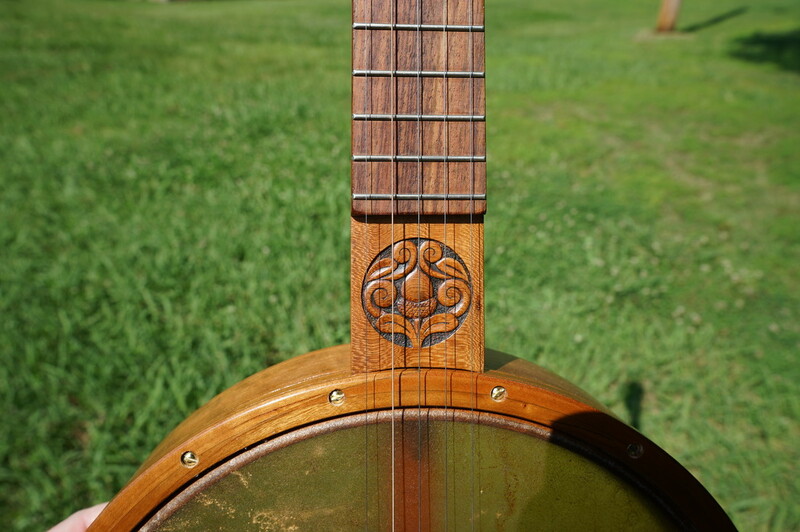 Cherry Minstrel Banjo, rosewood tone ring. Minstrel strings, low A tuning. Minstrel strings, low E tuning. Steel strings, full C tuning. 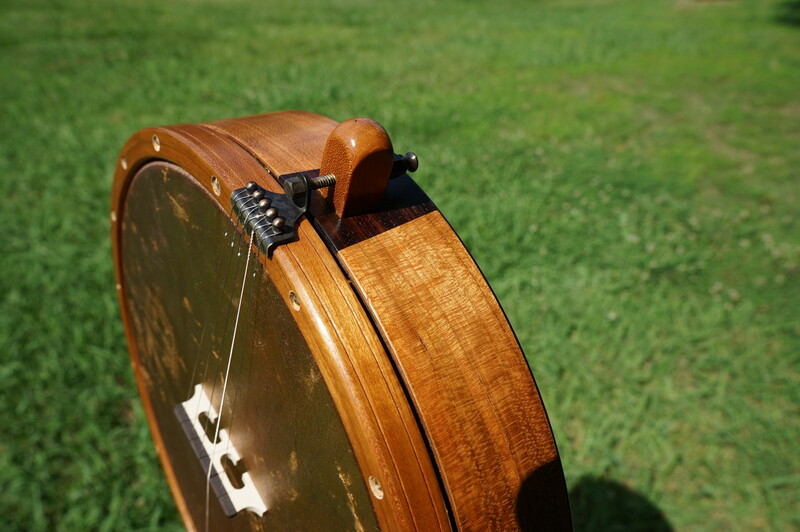 Finely crafted and carved, this banjo is first class! 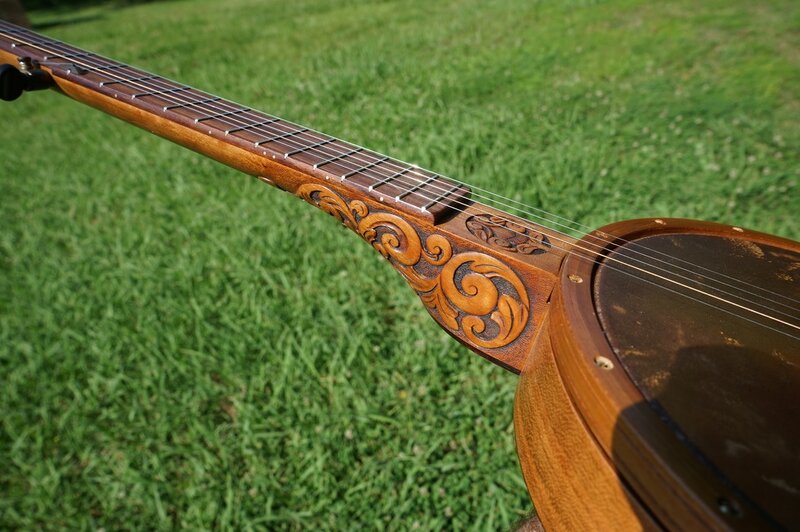 Hand carved in a fine, old world fashion that is seldom seen anymore. 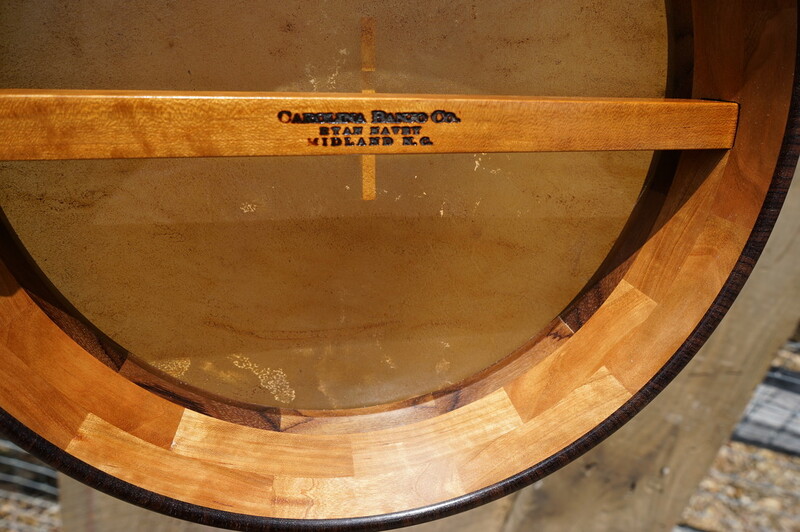 No bolt banjo, curly cherry harvested in Davidson, NC and well seasoned, air dried for 15 years. Rosewood tone ring. 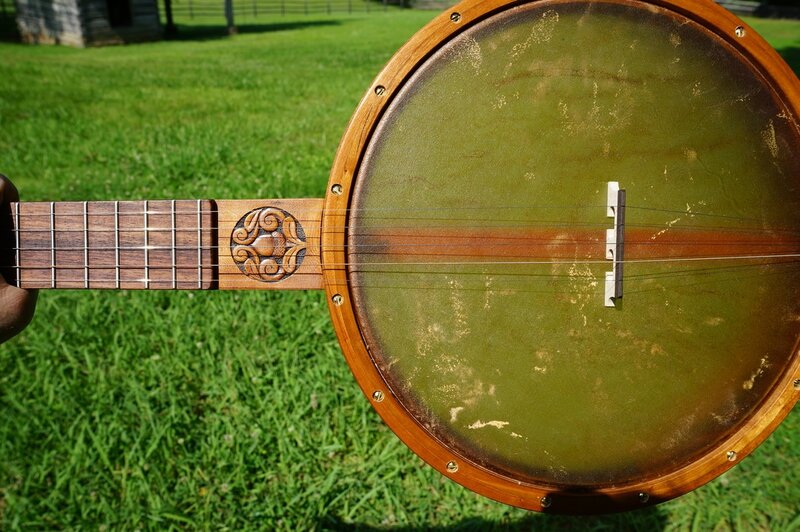 Antiqued brass hardware, no knot tailpiece, dyed calfskin head. 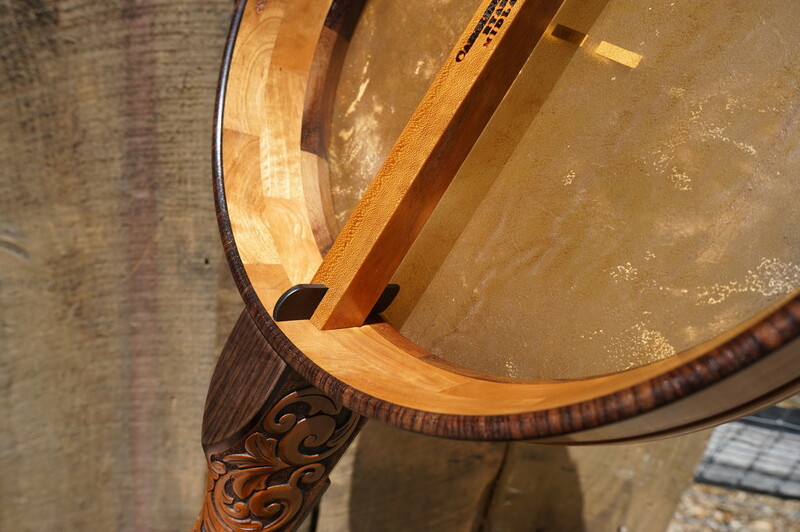 Segmented cherry rim with thick cherry veneer and rosewood fretboard, heel cap and rim cap. 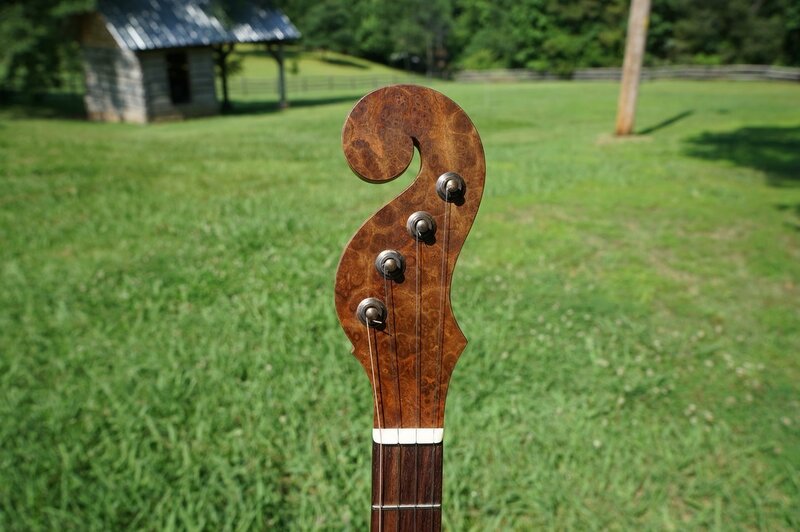 Walnut burl on head stock front and back. 25 1/2 scale length. 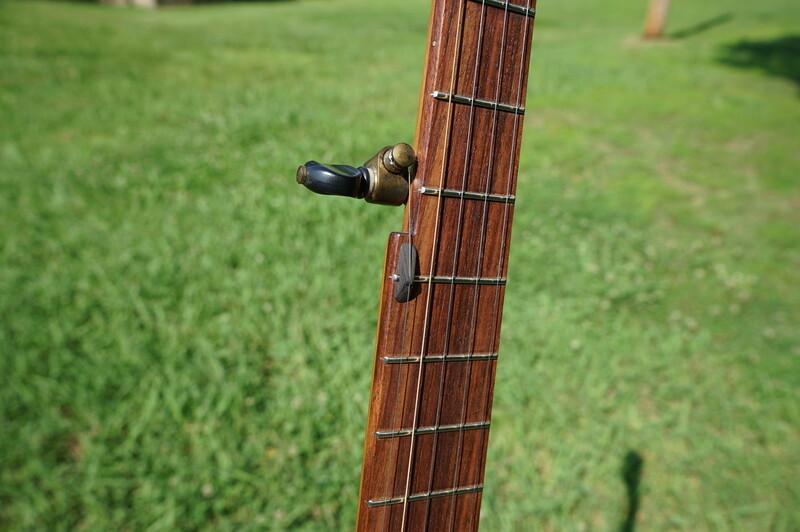 ​Brass position markers on side of fret board. 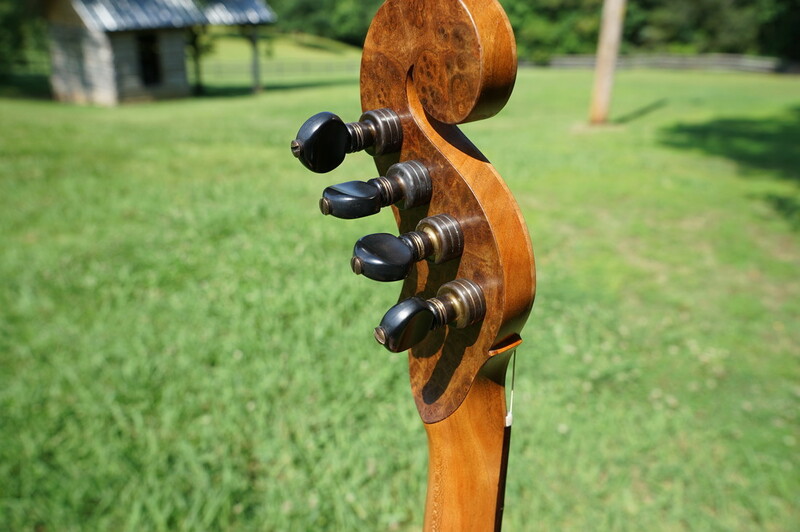 ​Can be strung with steel, nylon or gut strings with two different nuts. As for heads, I set them up with head tight for the best tone. The head shouldn't be perfectly flat but close. They shouldn't sag much more than a 1/16 to a 1/8 of a inch in the middle. But you should set it to your preference. It will change the tone very much. Light weight, fun to play! Fine carvings on neck heel and frailing scoop. 25 1/2 scale length for easy reaches, 1 5/16 wide at nut, gentle V neck profile makes the neck very comfortable and all my necks have a special finish to make them feel smooth and buttery for easy sliding. 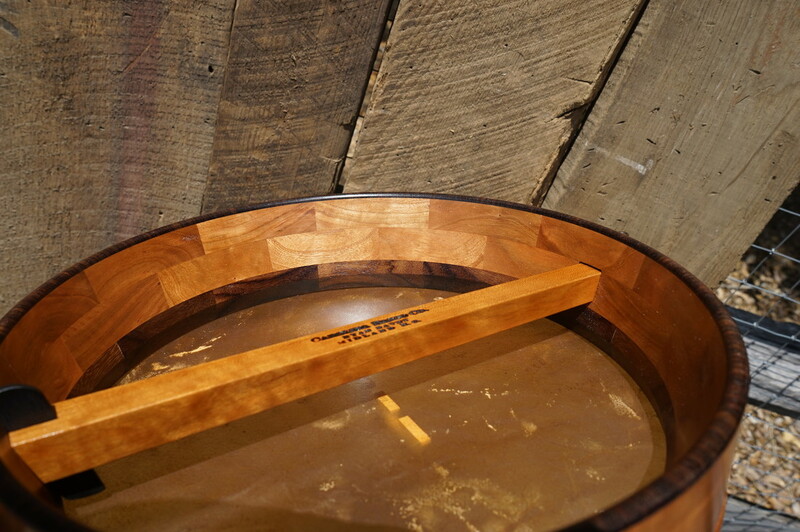 My homemade varnish is made of natural resins and looks/ feels much better than all modern varnishes.